As a homeowner, you know there is a lot that can go wrong without regular upkeep and maintenance. Lawns can become unruly, dust will collect, and HVAC systems can harbor nasty buildups of dirt and debris. One thing that often gets overlooked on the to-do list is to get your house screened for mold by a professional. Mold lives in every home, whether in large or small amounts. However, if not properly managed and remediated, it will continue to grow, eventually leading to potential structural damage. Not only can mold wreak havoc on the surfaces and framework in your house, but it can also pose serious health risks to you and your family. Learn the types of mold you might find in your home, signs for when it’s time for professional mold testing, reasons why professional mold testing is important, and steps involved in the home mold inspection process. There are thousands of types of mold growing in the world, and a number of them can be found right in your own home. The three most common types you might find growing in your house during a home mold inspection include Stachybotrys, Aspergillus, and Cladosporium. 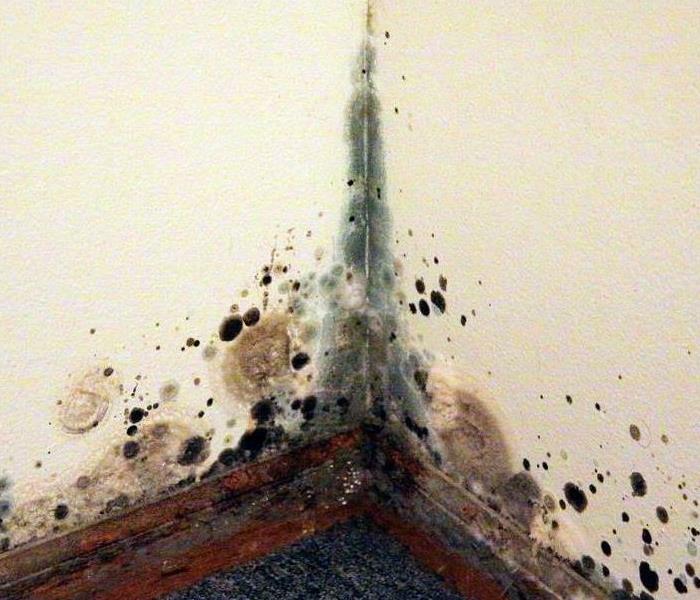 Stachybotrys: Stachybotrys, also known as the infamous black mold or toxic mold, is an incredibly common household mold. It is typically dark green or black in color and has a slimy texture. Black mold is a toxigenic mold, meaning it can cause certain symptoms in the human body if inhaled or ingested. Black mold flourishes in moist areas with high humidity, such as kitchens, bathrooms, basements, and crawl spaces. Aspergillus: Aspergillus is a type of allergenic mold that can be found primarily in-home air conditioning systems, as well as growing on foods that are decomposing. As an allergenic mold, it can cause symptoms such as lung infections and asthma attacks if inhaled. Aspergillus can be a variety of different colors and can grow in thick layers on walls. Cladosporium: Rounding out the list of the most common household molds is Cladosporium, an allergenic mold that makes its home in materials such as carpets, fabrics, and upholsteries. You might even spot inside cupboards. As an allergenic, it can produce a variety of symptoms on the skin, or in the eyes, nose, and throat. Visible signs of mold: if you spot mold, you should have a home mold inspection. Even if it looks to be a small amount, mold will continue to grow in the environment. If you spot mold, do not attempt to touch or disturb it. A professional company will have the proper equipment to handle the situation safely. If you smell a musty odor: many types of mold emit a tell-tale musty, moldy odor. If you notice an unpleasant smell without a clear source in your bathroom, basement, or crawl space, have your home tested to locate the mold and take remediation steps. Water damage: flooded basements, burst pipes, and leaky roofs all leave your home vulnerable to mold growth. If you’ve recently had a water damage event in your house, it’s time for a professional mold testing. Following water damage, mold can begin to grow almost immediately, so having the test done right away can prevent large overgrowths. The onset of health issues: If you or someone in your home starts to experience symptoms such as coughing, wheezing, itchy eyes, sore throat, sneezing, or rash that are not tied to a known health condition, have a home mold inspection as various types can cause symptoms mentioned. If you spot unusual stains: unusual stains on your house or on furniture could mean mold. If you spot new stains have a professional mold testing done to address the issue. Making the decision to have a professional mold testing is important, as exposure can spell serious consequences, especially for particularly vulnerable populations like infants, the elderly, or individuals with existing respiratory conditions. Exposure to mold can result in serious skin rashes and hives, as well as lung infections, difficulty breathing, and asthma. Some exposure will require treatments such as antibiotics, antihistamines, decongestants, or nasal sprays. The mold testing process involves a few specific steps to make a determination about the extent of your mold problem, and what should be done next to remediate. The test will begin first with a visual inspection. The inspector will walk throughout each room paying close attention to hidden spaces. They will also inspect your HVAC system, a well-known spot for mold growth. In addition to visually inspecting the interior of your house, they will also take a look at the outside of your house to note any potential risks for water entering your home. Following the visual mold inspection, during the mold testing, the inspector will make a diagnosis. You will be notified of any sources of moisture that might be causing mold growth, areas of particular concern where larger, potentially harmful overgrowths were spotted, as well as any sources of humidity noted. Once a diagnosis has been made, the inspector will conduct a fungal sampling as part of the mold inspection. Samples will be taken of not only the colonies of mold found growing, but also of the air in your home to determine whether or not the mold you have is allergenic and a health risk. Once the results of the fungal sampling are complete, the inspector will have a better idea of the level of contamination you’re dealing with. The final step in the professional mold testing process is a written report. In the written report, the inspector will thoroughly layout for you their findings and recommendations for remediation. 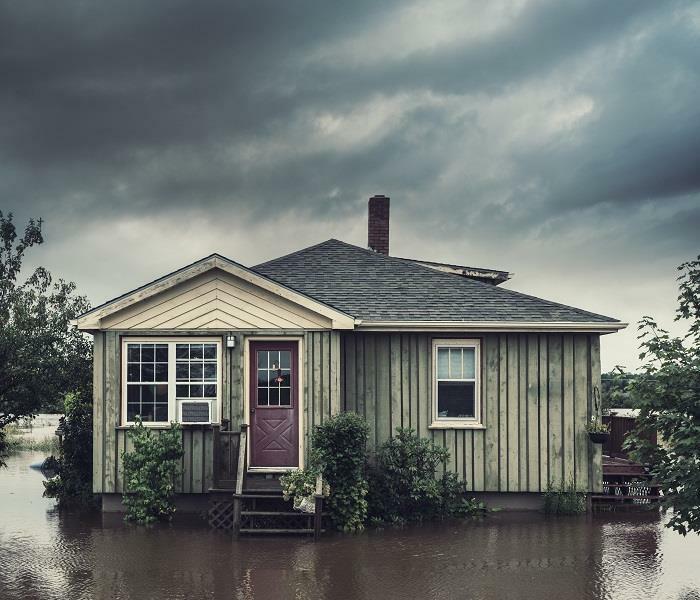 Following a water emergency in your home, whether it be a flooded basement after a heavy rain or burst pipe, you may be at a loss for what steps to take to remediate the damage caused. Additionally, once the water has been removed, restoring your home to like-new and safe condition requires a great deal of attention to detail and knowledge of ways to address structural damage. Because the water restoration process can be extensive in the cases of ceiling water damage, floor water damage, or wall water damage, it’s best to hire a professional water removal company equipped and experienced with such situations. A professional water removal company will offer a range of skills and expertise to help navigate through whatever issues might be present in a water-compromised home. Your house is filled with sources of water that cause water damage throughout your home. In addition to causes from within the home, natural disasters can also cause extensive water damage that will require assistance from professionals. Torrential Rain: After an intense rainstorm, you can experience flooding in your basement that can cause water damage if the water is left standing for a period of time. Water can enter your basement through holes and cracks in the foundation of your home. Rainwater can also find its way into your home through cracks or holes in your roof, leading to water damage on the ceilings, walls, and floors of top-level floors of your house. Water can even enter your house through doors and windows in some cases. Plumbing Issues: The network of structures that make up the plumbing systems of your home is complex, featuring a variety of joints, pipes, and fixtures. Due to the sheer number of components involved, eventually, you will likely experience an issue with the plumbing in your house. 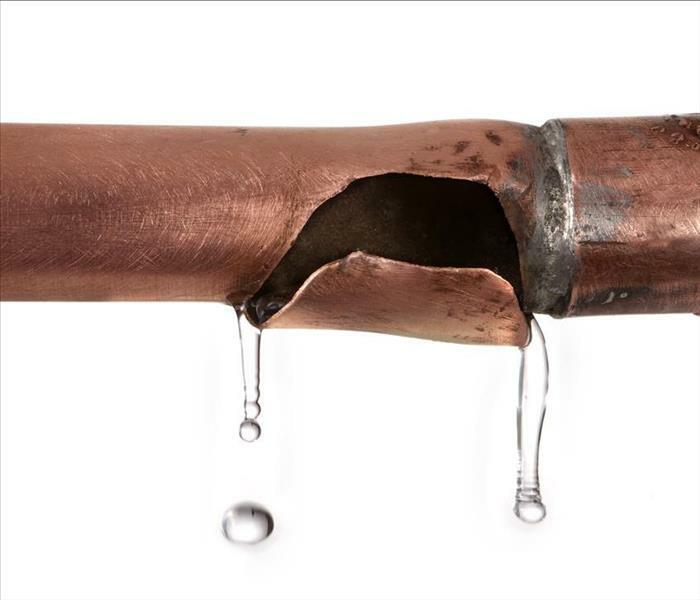 A busted pipe or backup can cause water damage in any area of your house. Without timely repairs, plumbing issues can get worse over time. Appliances: Constant dripping from appliances such as a dishwasher, washing machine, refrigerator, or water heaters can lead to water damage over time. There are a number of tell-tale signs that you have water damage in your home. 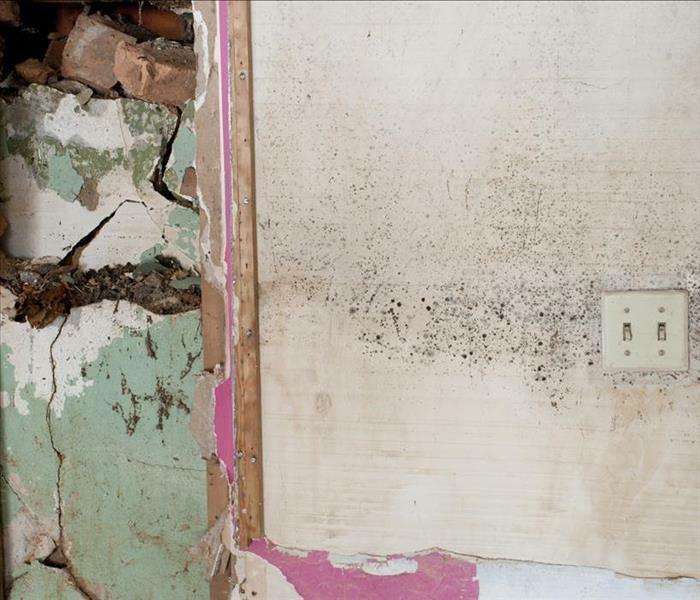 These types of water damage include mold, cracking, and dry rot, to name the most common. Mold: Mold grows where there is moisture. It may come as no surprise, then, that following a flooded basement, leaky roof, or built up condensation in a kitchen or bathroom, mold might be present. Mold grows quickly and can find its way throughout many spaces of the house. Mold can grow to be a variety of different colors, the most common being dark green, blue, or black. Cracking: As water damage become worse over time, you will start to notice cracks throughout your house. These cracks can be seen on walls, floors, and ceilings. Cracks will become more noticeable following prolonged water damage, eventually leading to shifts in the house’s foundation and unstable framework. Dry Rot: Drywood used in the construction of homes is incredibly tough and durable. When wet, however, wood becomes weaker and prone to rotting. Soft and decomposing wood also attracts a variety of insects, the most damaging being termites which can wreak havoc on the framework. If you spot any types of water damage, you’re likely asking yourself, what exactly does the water restoration process entail? It begins with first identifying the source that has caused the ceiling water damage, floor water damage, or wall water damage. This is an important step, as you can then make the necessary repairs to prevent future damage. Once the source of water has been addressed, water removal can begin. Using pumps and vacuums, water will be removed from the affected area as soon as possible. After as much moisture has been removed as possible, the drying process can begin. Drying can be done using dehumidifiers, fans, sponges, and cloths. This step can take anywhere from a few days to a few weeks. Next, the affected area should undergo a deep cleaning and sanitization. Because water damage can lead to bacterial growth and the presence of harmful chemicals, it’s important to conduct a thorough cleaning of any carpeting, curtains, clothing, or furniture that has been affected. In some cases, it may be necessary to dispose of items that cannot be salvaged. The final step in the water restoration process is to replace any insulation or drywall if it has been damaged beyond repair. It’s important to hire a professional who can recognize the various types of water damage to conduct home water damage repairs for a number of reasons. One of the most important reasons to hire water damage professionals is to protect your health and safety. Extensive water damage can compromise the structural integrity of your home, making affected areas hazardous. Professionals will be able to recognize spaces that are not safe to venture into without proper safety gear. Additionally, water damage often results in the presence of chemicals, bacteria, and other toxic materials that can have a negative impact on your health if inhaled or touched. Experienced professionals will be able to identify these hazards and safely remove them with special equipment. Another reason to hire a professional water removal company for home water damage repair is that they can work quickly and efficiently. 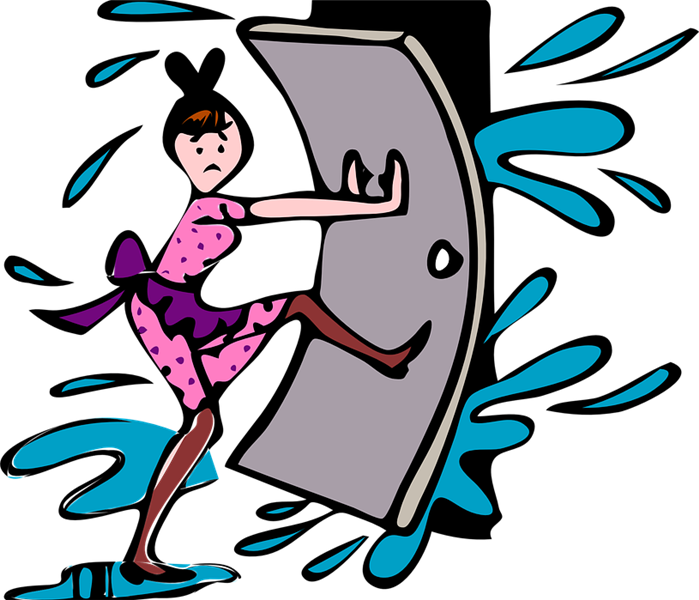 While you may be tempted to tackle the water removal process yourself, many individuals who attempt to do so find themselves overwhelmed with the tasks involved, or find that they simply do not have the time in their busy schedules to dedicate to the removal. With years of experience, professionals have a routine in place to get your water damaged home back in working order in no time. Finally, a professional water removal company has the equipment and capacity necessary to get the water restoration process job done. For water removal, you will need air-moving machines, industrial grade dehumidifiers, antibacterial solutions, and more. As you likely do not have these items on hand, you will not be able to address water damage successfully. A professional company will have everything needed to restore your home. As a homeowner, you know that caring for a house comes with a great deal of responsibility in order to maintain value and upkeep over time. Unfortunately, in homes large or small, there are lots of things that can go wrong. Among one of the most common challenges homeowners face is the presence of mold. Finding mold in your house is a cause for worry, and should be addressed immediately. When left untreated, mold outbreaks can cause damage and even pose a health risk to occupants of the home. To best equip yourself in the fight against mold, learn what it is, its cause, mold remediation definition, and mold remediation tips. Molds are actually a very natural part of the environment and are found in many places in the outside world. In the proper environment, molds are effective in breaking down dead matter, such as decaying trees and dead leaves. What exactly is mold? They are a type of fungus, and they are comprised of microscopic spores that can’t be seen by the naked eye. There are thousands of different types of molds, and they can appear in a variety of colors. Most often, they will take on a green, blue, or black appearance. The nutrients from which the mold feasts are what determines its colors. Additionally, the age of a mold colony and surface on which it grows influences the color. When inhaled, mold can have harmful effects on the respiratory system, causing symptoms such as coughing, wheezing, sneezing, itchy eyes, sore throat, and more. Contact with mold can also result in skin rashes and hives that require treatment from a medical professional. Those with existing conditions such as asthma should pay particular attention not to enter mold-prone areas. Black Mold: One of the most common types of mold found in a household is the infamous black mold. Black mold is classified as a toxigenic mold, that can elicit allergic reactions in humans when inhaled. In most cases, black mold will be black or dark green in color and will feature a slimy texture. It is attracted to surfaces including cardboard, woods, and wicker. Alternaria: Alternaria is the most common type of allergenic mold, that can be found in areas of the home including leaky sinks, showers, and bathtubs. Alternaria is usually brown or dark green in color and has a velvety texture. Following water damage in a home, it is likely that Alternaria will appear. Chaetomium: In addition to black mold and Alternaria, Chaetomium is another type of mold often found growing in water damaged homes. This type of mold has a cotton-like texture and ranges in color from brown to grey to white. Chaetomium is a common inhabitant of basements and leaky roofs. It can be identified by its musty odor. Humidity: Humidity a common cause of mold outbreaks, as mold needs moisture to grow. Following particularly humid weather, it is not uncommon to start to see mold growing in your house. Those that live in particularly humid areas, such as individuals with homes on the coast, are likely to experience recurring issues with mold. Humidity can also be created from humidifier machines and drying clothes indoors on clotheslines. Poor Ventilation: A poorly ventilated room means moisture can start to pool and puddle. This, in turn, feeds mold growth. Spaces such as kitchens and vacuums, where high amounts of steam are produced, are especially susceptible to mold growth when ventilation is poor. Flooding: Mold growth is also common following the flooding of a home. Basements, in particular, are at risk for flooding, whether due to cracks in the foundation, burst pipes or backed up sewer. Where there is standing water for a period of time, mold will follow. Making it more difficult to control the growth of mold is the fact that it can take days or even weeks for your home to fully dry. Mold remediation is defined as the removal, cleaning, and sanitizing of areas and surfaces that have been contaminated by mold. While it is impossible to remove all traces of mold, through mold remediation, you or a professional can restore mold levels to normal, natural levels. If you’ve found mold growing in your house, do not despair. Use the following mold remediation tips to control a mold outbreak. Contact a specialist. While you may be tempted to tackle a mold problem on your own, the safest option is to contact a specialist equipped to handle the mold remediation process safely and efficiently. They will conduct a full examination of the extent of mold growth, and develop a plan of action to remove harmful overgrowths. Area containment. Once the problem areas have been identified, the specialist will contain the areas to prevent the travel of mold spores into other areas of the house. During this step, the specialist will also take dehumidifying measures to remove as much moisture from the space as possible. Removal of contaminants. The specialist will now begin the process of removing mold, using various treatment products. Once done, they will safely dispose of the mold. The specialist will help to identify sources of moisture that might have caused the mold growth to begin with and offer recommendations for repairs. Final testing. After the mold remediation process is complete, the specialist will conduct a final test of the space to ensure normal mold levels have been restored. Following these mold remediation tips will help you quickly address mold issues, and prevent future outbreaks. Black mold removal and removal of other common household molds is a delicate process, but one that is necessary for the safety and well-being of your family. Contact a mold specialist today to discuss black mold removal, how to protect your house from water damage, or other questions you might have. Your home is a special place for you and your family. With so many cherished moments associated with this one of a kind place, it is hard to imagine losing it. Unfortunately, many families are forced to go through the heartbreaking process of saying goodbye to their homes as a result of fires. What is even harder to accept is that most house fires could have been prevented with a few fire safety facts and fire prevention tips in place. So just what items in your home pose a threat to your safety and the safety of your family? Use the following fire safety information and fire prevention tips for how to prevent house fires, and continue making memories in your home. One of the easiest fire prevention tips is to regularly check smoke alarms to ensure they are working properly. Smoke alarms are essential for how to prevent house fires, serving as the first line of defense when a house fire is imminent or already underway by emitting a piercing alarm to notify those in the house the moment smoke is detected. A non-functioning smoke alarm can, therefore, mean serious disaster. Each smoke alarm comes with important fire safety information and features a small button to test whether it is working or needs new batteries. If the beep is weak when testing the alarm, change the batteries right away. Cleaning ovens and stoves are among the most important fire prevention tips. While cleaning your oven and stove is likely a least favorite chore, doing so on a regular basis can help prevent house fires. Fires from ovens and stoves can result when food particles fall onto burners and get too hot. In addition to removing particles of food in your oven and stove, make sure to keep the area around your oven and stove clear as well. Curtains that hang too close, cookbooks left in the vicinity of these appliances, or ill-placed dish towels can all put you at risk for house fires as well. Create a routine for before and after you cook that ensures ovens and stoves are free of hazards. With a busy schedule, it can be hard to focus on just one thing at a time. During the evenings, many individuals are pulled in multiple directions, preparing dinner, helping the kids with homework, and getting the house in order for the next day. However, even short distractions that happen while cooking can have serious consequences. One of the well-known fire prevention tips is to never leave food unattended when cooking in the kitchen for any reason, as it only takes mere seconds for a fire to break out. If you must leave the kitchen, make sure to turn off any burners in use, or call a family member to watch over the food until your return. With an increasing dependence on electronics for daily tasks now more than ever, you likely always have something plugged in to charge, whether a cell phone, tablet, or smartwatch. Another method for how to prevent house fires is discarding frayed wires and cords used to transmit power into electronics. Among your list of fire prevention tips, add regularly checking the condition of cords, looking for damage such as exposed wires or frays. If you notice damage, replace the cord immediately. Keep in mind that pets often like to chew on rubbery items, so keep cords out of reach to avoid damage. Though one of the more obvious fire safety facts, pay special attention when using fireplaces. Fireplaces pose a special risk for house fires as sparks can easily escape and fly out onto flammable surfaces. When having a fire, make sure there is a door between the fire and the floor to prevent the escape of sparks. When you have distinguished the fire, make sure that all ashes are completely cool before throwing them away. Purchase a metal container to dispose of ashes to reduce the risk of any still-warm ashes from causing a fire. Lastly, never leave a fire unattended under any circumstances. Another very common source of house fires is clothes dryers. 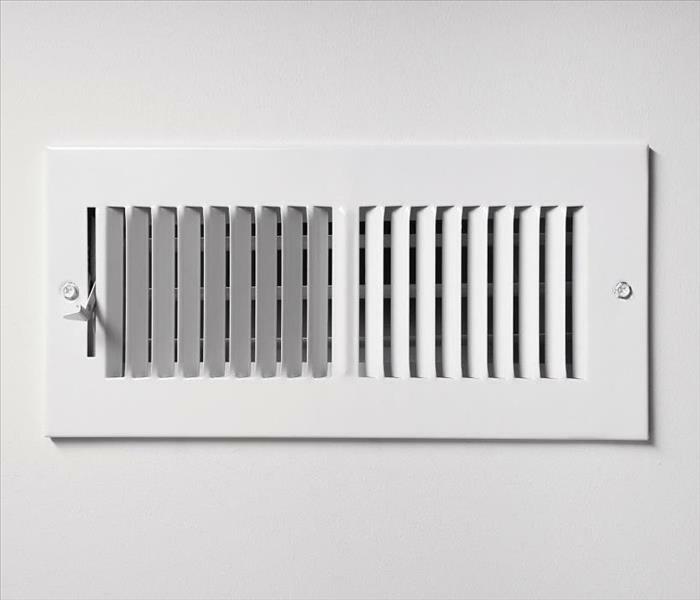 Fires result from dryer when vents are not properly installed or are not cleaned out regularly. Heat produced during the drying process can cause lint and other debris to get too hot, and lead to a fire. To prevent fires, make sure that dryer vents are properly installed using the instructions that came with the appliance. To be safe, you might consider enlisting a professional to assist with the installation process. Additionally, clean out the lint filter after every load of laundry. This often overlooked step takes just seconds but can save you and your family from experiencing a fire. Candles work wonders for enhancing the ambiance of a home, promoting much needed calm and relaxation through soothing scent and light. However, the exposed flame makes candles a hazard and potential risk for house fires. Another of the key fire prevention tips when lighting candles is to make sure they are placed far away from any fabric, such as curtains or blankets, and other flammable objects. If you’re leaving the house or starting to feel a bit drowsy, extinguish the flames immediately. Further, if you have little ones or furry friends around, consider waiting until they are out of the room. Pets and kids can easily tip over candles on accident. Most of us rely on heating systems to keep us warm during the chilly months of winter. Because of this reliance, it is important to make sure that all heating sources are well-maintained and functioning properly. Heating sources that are broken and in need of repairs pose a great risk for fire. Filters should be cleaned regularly to avoid a buildup of dust and debris that can catch on fire. Additionally, you should have all heating sources inspected by a professional on an annual basis to catch malfunctioning components early. If you not only rely on your home’s heating system to keep you warm but also rely on space heaters, take special care. One of the not so well known fire prevention tips, Many old space heaters pose a great risk for house fires, as they often do not have the same safety features now found in newer models (such as turning off automatically when tipped over). When using space heaters, other best practices including keeping heaters away from curtains, blankets, and furniture that can easily catch fire, place them in spots with little foot traffic, set space heaters on solid, firm surfaces, and do not set space heaters on any other surface besides the floor. Many of the products we use every day are flammable and therefore put us at risk for house fires. There are obvious products such as gasoline, which should always be stored in UL approved containers in a location outside of the house. Other flammable products include shaving cream and hairspray, which should be stored in cool places away from sources of heat. Smokers should pay special attention to their habits to prevent house fires. While you may enjoy the convenience and comfort that comes with smoking in your home, it is best to take smoke breaks outside of the house. A single unattended cigarette or a cigarette dropped after falling asleep in bed or while lounging on the couch, can result in a fire. When cleaning out your ashtray, be sure that all ashes are completely cool. Then, dampen ashes in the sink before placing in a trash can and out of the house. There is nothing more exciting than a backyard barbeque with friends and families in the summer. There are a few precautions to take, however, for how to prevent house fires when grilling. If you’re grilling on the deck, be sure to place non-flammable pads beneath your grill to prevent the start of fire in the event of dropped food or coals. Also, be sure the grill is attended to at all times. Call a friend over to watch the grill if you must step away, even if only for a minute. If there is no one around to watch the grill, turn off the propane. One of the best investments for how to prevent house fires is to purchase a fire extinguisher. Having a fire extinguisher handy can make the difference between a frighteningly close call, and a serious disaster resulting in the total loss of your home. Fire extinguishers can be purchased at most home improvement stores, and are incredibly affordable. Store your fire extinguishers in spots that pose a special risk for fires, such as in the kitchen or near fireplaces. Make sure that all family members in the house understand how to operate the fire extinguisher, and are comfortable taking the steps necessary in the event of a fire emergency. When mold forms in your HVAC system it is important to contact a professional mold remediation specialist like SERVPRO. Mold damage in an Alpharetta home's HVAC system can be tough to remove, requiring specialized training and knowledge in both restorative processes and proper HVAC care. SERVPRO is one of only a handful of companies possessing the expertise to handle both at the same time, but even for our most experienced technicians, mold in heating, ventilation, and air conditioning systems is no easy obstacle to overcome. Here are a few things that can complicate restoration procedures even with ideal tools, training, and circumstances. All varieties of mold damage in Alpharetta homes require water to be sustained, and while some species can subsist off of unusually humid conditions, most infestations accompany a water leak of some kind. Finding these leaks can be difficult, as both water lines in your home and HVAC systems run through unoccupied, dark, and out-of-sight areas of your home. SERVPRO representatives carry advanced thermohygrometer devices to spot patches of water behind walls and in unusual locations, allowing us to figure out the source of the mold's growth and put a stop to it. Only once we stop the flow of water can we begin to conduct restorative procedures. Depending on the size, layout, and age of your home, your HVAC system may be very difficult to access and navigate. However, we prepare for this eventuality by training our technicians to handle all prevalent types of ventilation systems and should be able to take out colonies growing even in the farthest reaches of your home. Many cases of mold damage in HVAC systems become much more substantial problems over time as air circulation allows spores to spread around not only the ventilation system but also throughout the entire home. No matter where you find a colony growing in your home, your first step should be to turn off any HVAC functions running at the time to prevent further spreading. While we cannot reverse any existing spread, our preventative measures and quarantines help to prevent additional problems from appearing throughout the home. SERVPRO of North Fulton County is always available to take on a mold remediation project in your home. Call us as soon as you identify a problem at (770) 992-2777. Click here for more information regarding Alpharetta. If your auto shop's crawlspace experiences regular flooding during rainstorms, SERVPRO can install a crawl space system to prevent future flooding. If a storm ever hits town, excessive rains and high-speed winds likely take place. It is a possibility that your Sandy Springs auto shop gets affected by the poor weather. If the storm is severe, then flooding likely occurs. One of the first places water flows during a flood is into the crawl space of your business' building. SERVPRO's commercial flood damage experts in Sandy Springs use specialized equipment to remove water from crawl spaces. Many times tight spaces underneath your structure are hard to access and reach with drying equipment. When water gets into a crawl space, the area often fills up with thick, muddy water. Submersible pumps are efficient at sucking up standing water but sometimes prove difficult when attempting to remove all of the moisture. Once extraction gets completed, structural drying takes place. 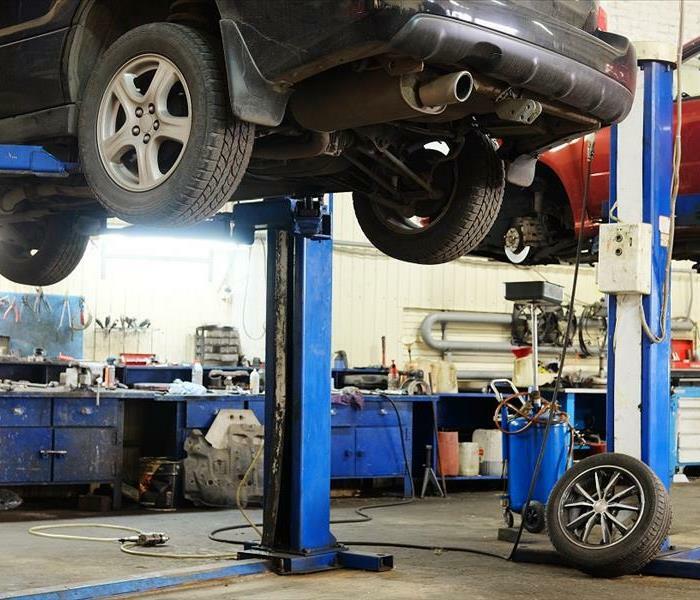 Many automobile repair businesses store extra supplies underneath the office portion of their shop. When water gets into the storage area of your company, it is essential that we dry the area so that contents do not get negatively affected. If there is convenient access to the area, air movers and dehumidifiers get set up to speed up drying of the floor joists. If the crawl space's access point is too small, then either a section of the sub-floor get removed, or hoses from hot air sources get fed into the tight dwelling. Some mechanical shops have a problem with crawl spaces filling up with water every time it rains. If you notice water underneath your business every time a storm hits your town, then after we remediate the issue we can install a crawl space encapsulating system. The system contains a submersible pump located in a hole dug in a low spot of the crawl space. The rest of the area is covered with plastic so that the area is not affected by ground moisture and the wooden floor joists do not get affected by the moisture in the crawl space. The crawl space system is one of the ways that we prevent future issues from happening. If your auto shop's crawlspace ever has an excessive moisture problem, call SERVPRO of North Fulton County at (770) 992-2777 for assistance 24 hours a day and 7 days a week. Visit http://www.sandyspringsga.gov/ for more information on Sandy Springs. Water damage can feel like an absolute disaster when it strikes. Whether caused by rain, flooding, or even humidity, unwanted water found inside your Sandy Springs home can be a nightmare. It can be discouraging and quickly turn into an exhausting situation to try and handle. In Sandy Springs, water damage can come from any source: rain, leaks from plumbing, a forgotten tap left running, or flooding. Beyond the weather, there are appliances in your own home that can also cause water damage should they leak. The truth is, water damage can come from a multitude of places, and it can be hard to prevent an occasional water damaging incident. Thankfully, SERVPRO is nearby to help. When water damage strikes, our skilled technicians can evaluate the levels of moisture in every point of your home. From there, we can establish a drying plan and return the damaged points of your home to their previous condition. "Like it never even happened." We can evaluate the percentage of humidity in the air and create an environment which promotes evaporation through dehumidifiers. From there, our technicians can measure moisture levels throughout your home through the use of a moisture meter and even thermal topography. Once those levels are known, the appropriate drying method can be employed and expertly seen too. No matter where the damage exists, we at SERVPRO know how to dry out the material and return your home to its preloss state. No matter if the flooring of your home is concrete, tile, or hardwood, we have the appropriate tools for every situation. Through the use of air movers, axial fans, and dehumidifiers, we make sure every nook and cranny of the damaged space gets airflow. Using this method ensures the moisture lifts from the surfaces of your belongings and then evaporates so it will no longer be a problem. When moisture invades your home and causes damage to it, do not wait. Call SERVPRO North Fulton County at (770) 992-2777. We guarantee you fast, efficient, and reliable service 24/7. Click here for things to do in this GA town. Contact SERVPRO should fire or smoke damage your home. We provide efficient remediation services that will leave you more than satisfied with results. Smoke can be just as damaging, if not more so, than the flames associated with fire in your Sandy Springs home. 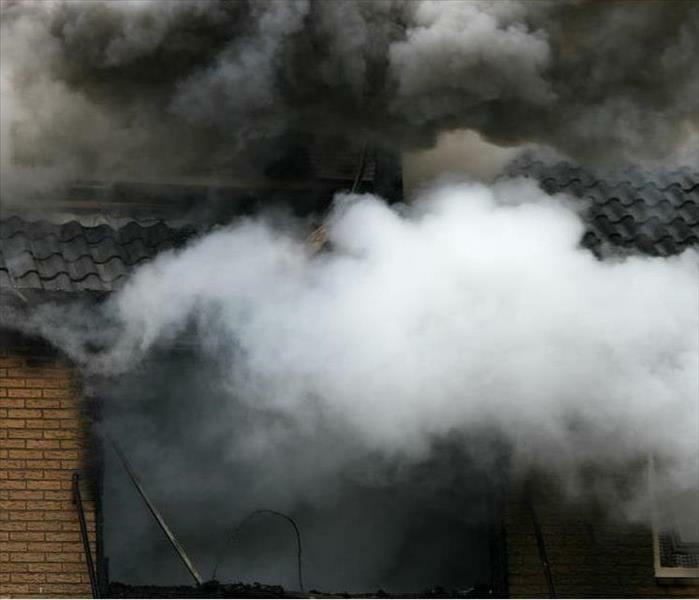 Small house or kitchen fires often result in horrible smoke odors that can linger forever if not treated correctly. Having a fire damage restoration company in Sandy Springs help you return things to normal is likely your best option. A quality company can provide you with the proper equipment and resources necessary to remove unwanted odors while offering full-service restoration and cleaning services as well. SERVPRO has IICRC certified technicians available 24-hours a day, 7-days a week, regardless of when your incident occurs, we can be there. We have access to air-movers, fogging equipment, cleaning and sanitizing methods that make restoring your home much faster than ever before. 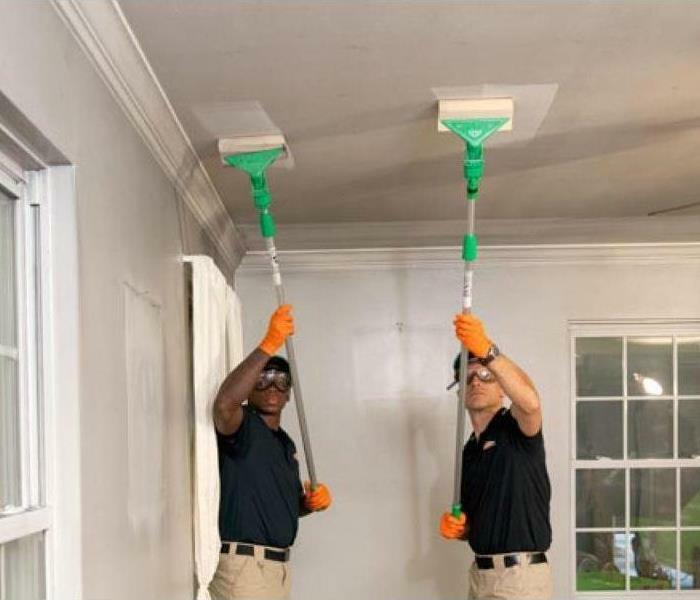 SERVPRO technicians scrub every surface affected by the event, including the ceiling, walls, floors, cabinets, countertops, appliances, and more. We use EPA-registered disinfectants to help clean and sanitize the entire space. Our technicians work hard to reduce any losses you might experience and make it a point to address specific concerns you might have. SERVPRO has an entire fire damage restoration service, designed to adjust to meet your specific needs. Since each circumstance is different, we make it a point to thoroughly inspect your home and keep you informed throughout, making the entire experience as stress-free as possible. It takes dedication and devotion to the task at hand to remove odors clinging to fabrics, soft plastics, clothes, curtains, bags, shoes, carpeting, and other household items caught up in the aftermath of a fire. Our technicians make sure to do everything in their power to prevent losses and are determined to provide you with the quality results you deserve. Click here for more on Sandy Springs. Floodwater that makes its way into your home can be categorized into two types, black and gray. When flood damage in Sandy Springs originates from a storm, we usually classify the waters as either gray or black and handle them with safety protocols based on that classification. Whichever category the standing water in your home falls into does not depend solely on the color or visual appearance of the water, but also on the contents of it and any debris contained within. Here is a brief overview of what goes into each classification, and what each one can mean for your home. Black water is the most severe category of floodwater and is what we deal with most often for cases of flood damage in Sandy Springs that result from a storm. Black water is any water heavily contaminated with dirt, debris, microorganisms, chemicals, and many more hazardous substances. Most of the time, this type of water should be easy to identify with a dark brown or black color and murky appearance, but heavily contaminated water can sometimes appear gray or even somewhat clear in certain lighting conditions. Wait for a SERVPRO professional to evaluate the situation before you conclude what type of water is in your home. If you do find standing black water anywhere in the building, avoid the room or area in question until one of our technicians can provide you with safety advice. This type of water can be highly dangerous, so be very cautious around it. Less commonly, SERVPRO technicians may identify floodwaters in your home as gray water, which is a category of water that still contains contaminants but is not as immediately dangerous or severe as black water. However, gray water can still harbor dangerous microorganisms and rapidly develop into black water as these organisms grow and multiply. Be very cautious around all standing water on your property, and avoid entering pools of water without the express permission of our personnel. SERVPRO of North Fulton County provides expert flood damage mitigation and restoration services after every major disaster. Call us for 24/7 service at (770) 992-2777. For more information regarding Sandy Springs, click here.